This miniature quilt "Over the Sea" is in the silent auction at the Virginia Quilt Museum. Check out all the miniature quilts. The bidding for this ends August 24. Keep posted to join in on the fun of a blog tour September 2-7. There will be a chance every day to win my book "Simply Triangles". Love your little quilt! 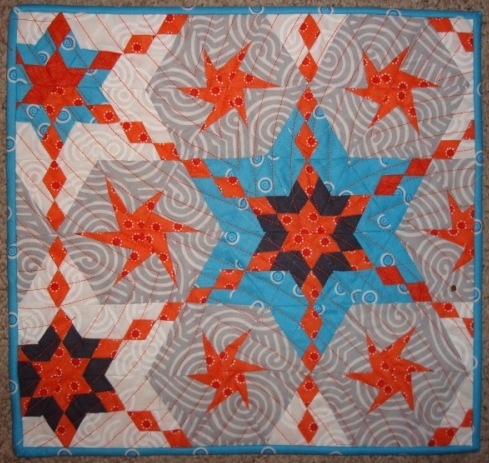 Thank you for supporting the Virginia Quilt Missum. هناك تعقيدات عظيمة بشأن التخلص من البقع يصعب عزلها مع الوقت لهذا ننصحك دائمًا بالاتصال بـ مؤسسة تطهير كنب بنجران تطهير جميع أشكال الكنب من غير مشابه الألوان والاحجام العظيمة والصغيرة .